Women & Children First began in a modest storefront in 1979. Over the years we've moved twice and are now in the northside Chicago neighborhood of Andersonville, part of Edgewater, known for its diversity, queer-friendliness, women-owned businesses, and community spirit. 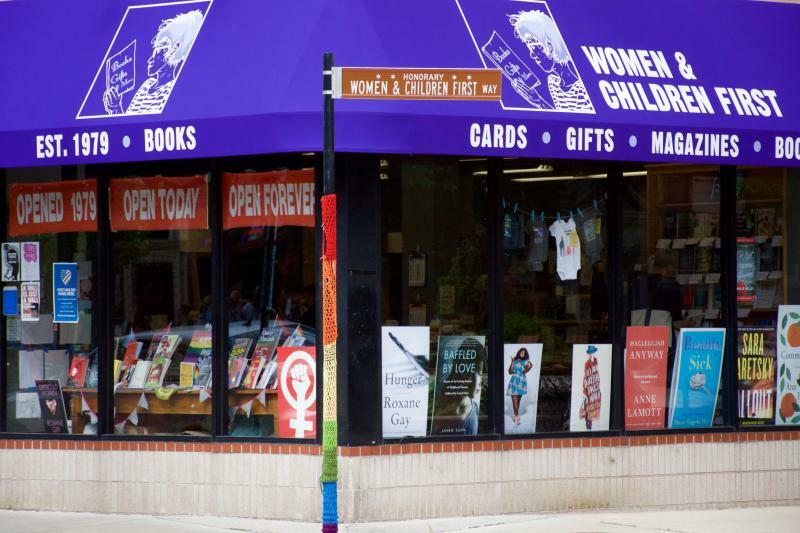 We are one of the largest feminist bookstores in the country, stocking more than 30,000 books by and about women, children's books for all ages, and the best LGBTQ fiction and non-fiction. And we also serve as a neighborhood bookstore and community space to Edgewater, Rogers Park, and other parts of the northside of Chicago and Evanston. Anything we don't have in stock we can usually get in a few days' time, even if it's a title outside our specialty. We also carry cards, magazines, blank books and journals, posters, calendars, gift items like candles, pins, and pride flags. In 2014, our co-founders, Ann Christophersen and Linda Bubon, sold the bookstore to two of their staffers, Lynn Mooney and Sarah Hollenbeck. The change in ownership kept the store “in the family” and renewed the strength and vitality of our mission to promote the writing of women and other marginalized voices. We strive to offer a place where everyone can find books reflecting their lives and interests in an atmosphere in which they are respected, valued, and well-served. Like us on Facebook or follow us on twitter & Instagram @wcfbook! The Women’s Voices Fund was established in November, 2005, to help support feminist programming at Women & Children First. The Women’s Voices Fund will ensure that events featuring women writers, fostering discussion of feminist issues and culture, and nurturing children’s delight in books will continue to play a vital role in Chicago’s intellectual, literary, and political life. The Women’s Voices Fund, a project of Women & Children First Bookstore and a grantee of the Crossroads Fund, raises money to help sustain and develop an ongoing program series focused on women’s lives, ideas, and work. 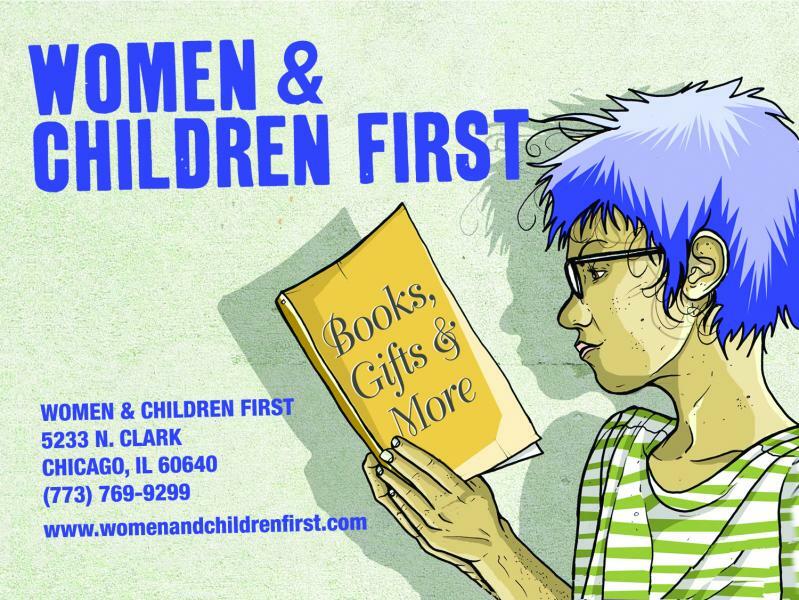 Women & Children First, a unique resource in the Chicago community and the only venue to offer regular programming with such a focus, has provided the sole financial support for this series for over 25 years. Outside support through the Women’s Voices Fund is crucial to guaranteeing that a wide and diverse range of women’s voices and the best voices in children’s literature continue to be heard. Mail a check to Crossroads Fund (3411 West Diversey Ave Suite 20, Chicago, IL 60647). Please write Women's Voices Fund in the memo line. Call Crossroads Fund at 773-227-7676. Donate online through the Crossroads Fund by clicking HERE.